Corporate memberships and tournaments make for good business. Good business starts at Elmhurst. Nothing is better than a day on the golf course with your best clients and co-workers. Let us take care of your corporate golf. You won’t regret it. Contact us to let us take care of your corporate or group event. We have the ability to provide options to groups and companies of different sizes and budgets. 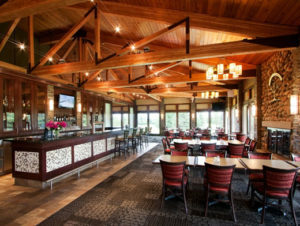 Elmhurst has been proud to host many of Manitoba’s biggest golf tournaments. Our team of event professionals have a combined 60 years of event management and will make facilitating your event a breeze. Please contact us for more details and to receive our Golf Event Package. Elmhurst’s Corporate Membership package entitles each company to a package of 100 rounds of golf to be divided among a maximum of four players. Use of the practice facility, and the ability to participate in member events (at additional cost) is also included. Locker and club storage is available for at a nominal charge per corporate member. For more information on tournaments and corporate membership, please contact us. We would be more than happy to discuss your event or interest in membership in detail.